Editing our sites yourself is a breeze. . .
Our website editing platform is what sets us apart from the competition. Lots of website design companies offer you the ability to make alterations to your website but we believe our self-editing platform is simply the best on the market today. It is simple, intuitive and stable. The ability for you to be able to easily update your website is vital. Out of date websites look unprofessional, and can annoy and even lose you customers. Uedit uses one of the most advanced and intuitive editing systems currently available. This is called your content management system or CMS for short. Once your site has been built, and approved by you, we publish it onto the web and give you access to our customer CMS, so you can update your pages adding or deleting content as you wish. We will keep the actual website coding safe behind your site so you cannot inadvertently damage your site. This way you can feel free to experiment and enjoy changing some design elements on your site. 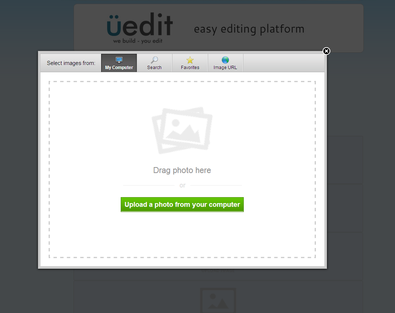 We have a simple drag & drop editor which allows you to easily update anything you like, such as adding text and images. Once you have selected which element on the page to update, you can simply upload your image or content from your own computer onto the site. We can set various permissions for other staff members so that they can update their own sections of the site, but cannot access yours. We can also give you control over your blog settings so you can monitor comments etc. If you get stuck or would like us to update the site for you, no problem, we will be happy to help.